The proposed $35 billion merger between Omnicom Group Inc., the No. 1 U.S. advertising company, and French rival Publicis Groupe SA has been called off, according to a person familiar with the situation. In July, the two companies announced plans for a merger that would have overtaken WPP Plc as the world's largest advertising company. The companies had been working to resolve roadblocks in the deal after disagreements over terms, including who would be the chief financial officer of the combined company. John Wren, the head of New York-based Omnicom, and Maurice Levy, his opposite at Paris-based Publicis, have been trying to settle the CFO choice, which had fueled tensions between the two sides even as they sought regulatory approvals for the blockbuster deal. The merger called for a 50-50 ownership split of the equity in the new company, Publicis Omnicom Group, with Wren and Levy serving as co-CEOs for 30 months from the closing. 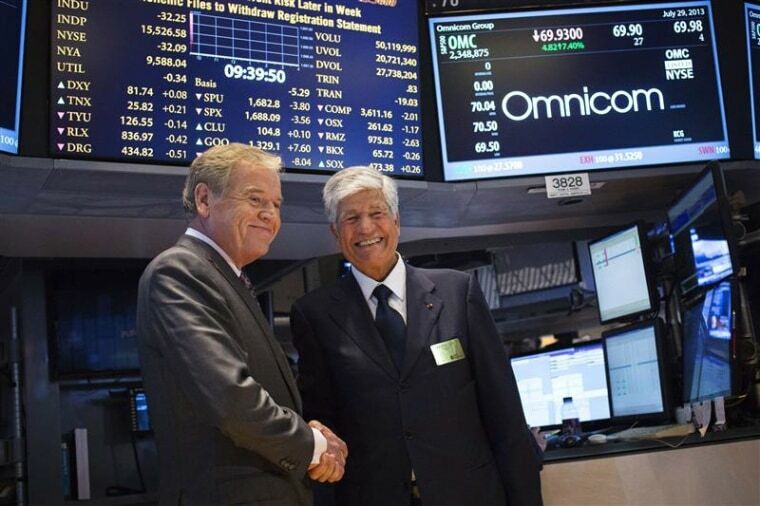 Omnicom and Publicis did not immediately respond to phone calls seeking comment.